Why choose a Dolce Vita Australian Labradoodle? 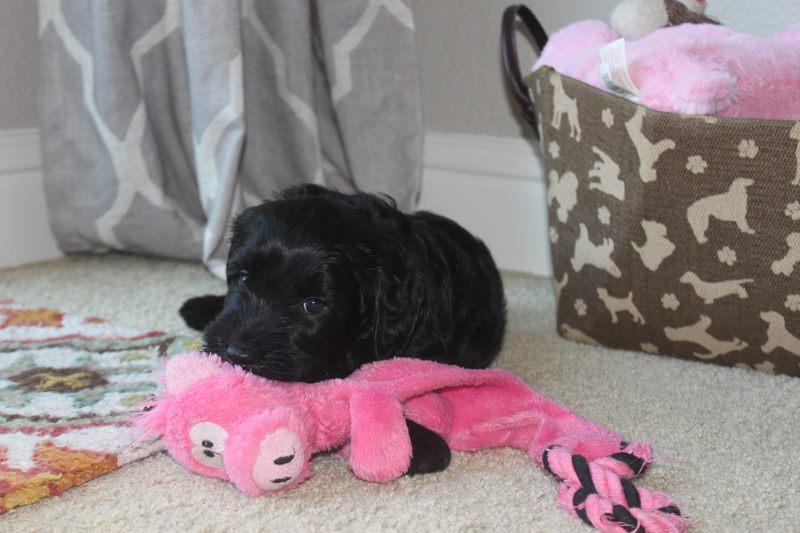 At Dolce Vita Labradoodles, our labradoodles are a part of our family and live in our home with us. The sleep in our bedroom and are birthed in our homes. 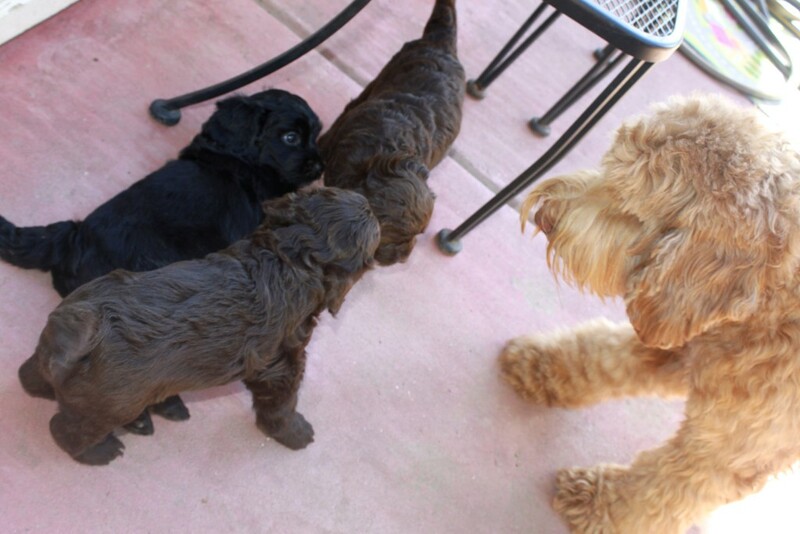 Early socialization of our puppies is a very important part of our breeding program. As a family, we are all committed and involved in socializing our puppies. We only breed the Australian Labradoodle whose lines are primarily from the breed founders in Australia (Rutland Manor and Tegan Park). All our breeding dogs are thoroughly tested for conformation, hips, elbows, eyes, along with many other genetic testings. We follow the guidelines and standards established by the Australian Labradoodle Club of America (ALCA), and the Australian Labradoodle Association of America (ALAA). Each of our puppies will come to you with the early knowledge of being crate trained, and will already been used to sleeping in a crate at night. They have already been introduced to the concept of potty training starting at 4 weeks of age. Blanket with the scent of the mother and litter mates. 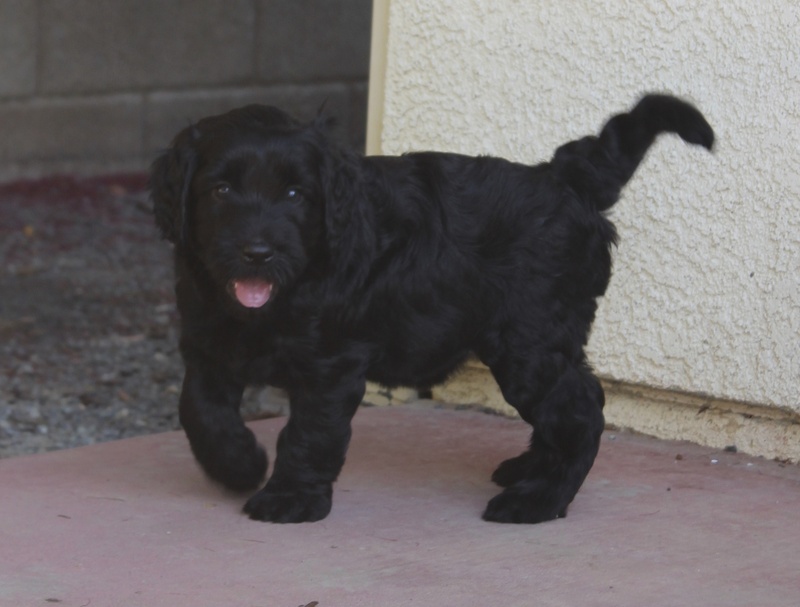 *We are committed to providing the very best quality Australian Labradoodles. 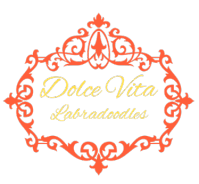 The health of your Dolce Vita Labradoodle is extremely important to us. We are sure your puppy/dog will enter your family happy and healthy, as our breeder dogs are throughly screened and tested. However, for your peace of mind, Dolce Vita Labradoodles will provide a two year warranty against any serious genetic disorders that would affect the dogs quality of life.